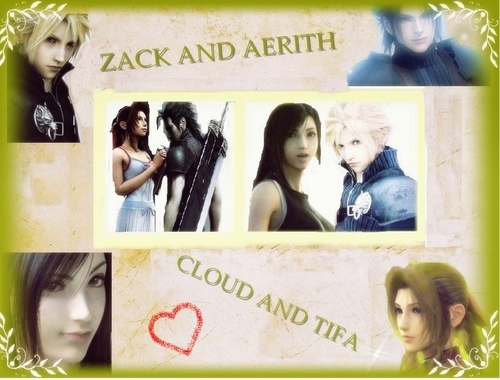 ulap and tifa zack and aerith wolpeyper. . HD Wallpaper and background images in the Final pantasiya VII club tagged: final fantasy vii advent children cloud strife aeris tifa zack. This Final pantasiya VII photo might contain pahayagan, papel, magazine, tabloid, rag, anime, comic book, manga, cartoon, portrait, headshot, and closeup.